Show off your true colors with the Hair Chalk Salon. 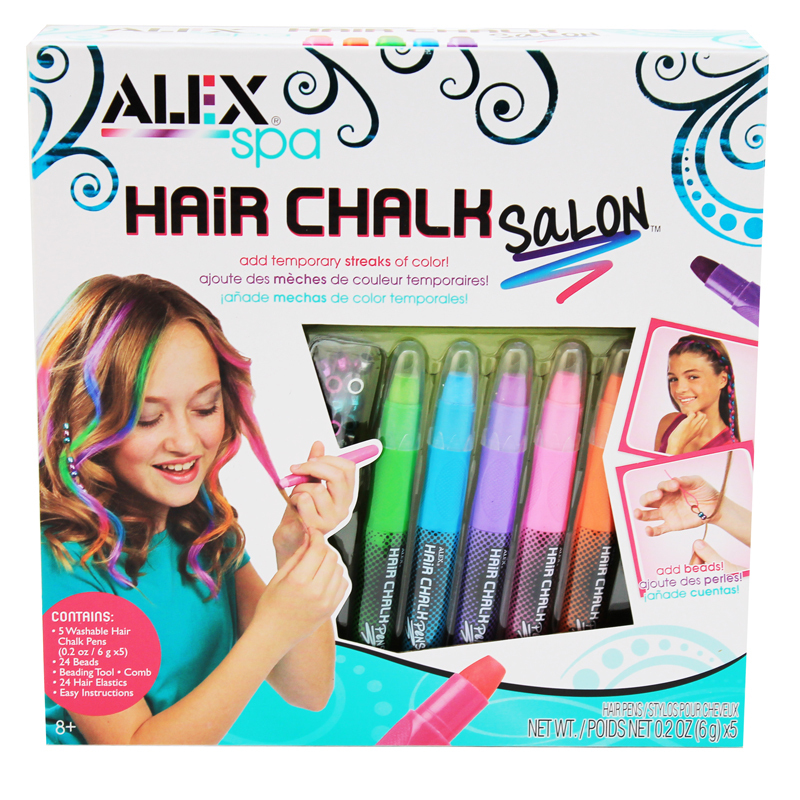 Add temporary streaks of color using the colorful chalk pens on your hair. Create a fashion statement using the special tools to add beads and finish your designer hair do. A fun activity for parties and girls night out (or in!). Apply pen color on dry hair. Color is removed with shampoo. Includes 5 washable chalk pens, 24 beads, beading tool, comb, hair elastics and easy instructions.